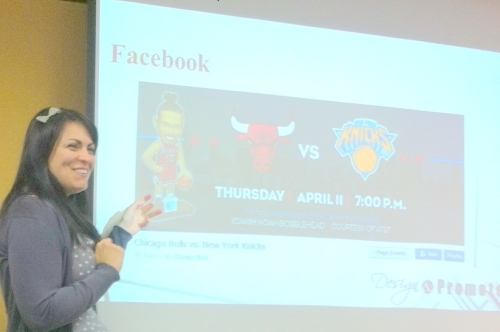 Design & Promote graphic designer Danielle Luke presented the latest seminar on “Picture Perfect Images for Social Media” as part of our “Effective Inbound Marketing” series. 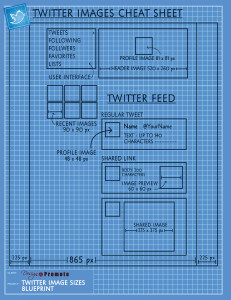 Danielle offered helpful advice and information on the best image formats to use for social media, and provided attendees with “cheatsheets” of information about Facebook image dimensions, Google Plus image dimensions and Twitter image dimensions. Danielle shared the golden rule for making sure your uploaded images do not get “cut off” or stretched out when they post. 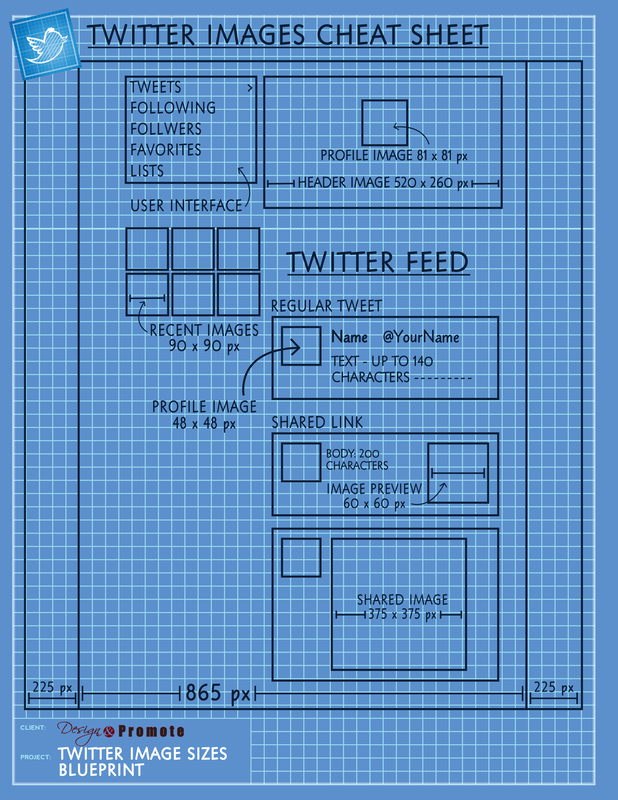 “The main thing to remember is that when you download an image, make it larger than what you need. That way when you shrink it, the image will retain its proper dimensions,” she said. She gave a list of websites where you can resize an image for free that you can find on the presentation download below. Danielle also shared ideas for obtaining and sharing images in an innovative way. “Sometimes the best way to get them is to take them yourself,” she said. She warns against “stealing” images off of Google and gave many resources for purchasing quality images for a reasonable price. 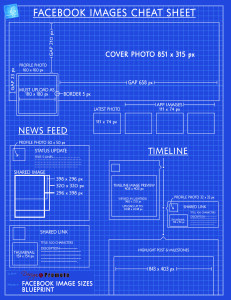 Well done Facebook and Twitter cover photos are attention-getting, clear and brand distinctive. She advocates changing your cover photos often, especially to highlight events and seasons. 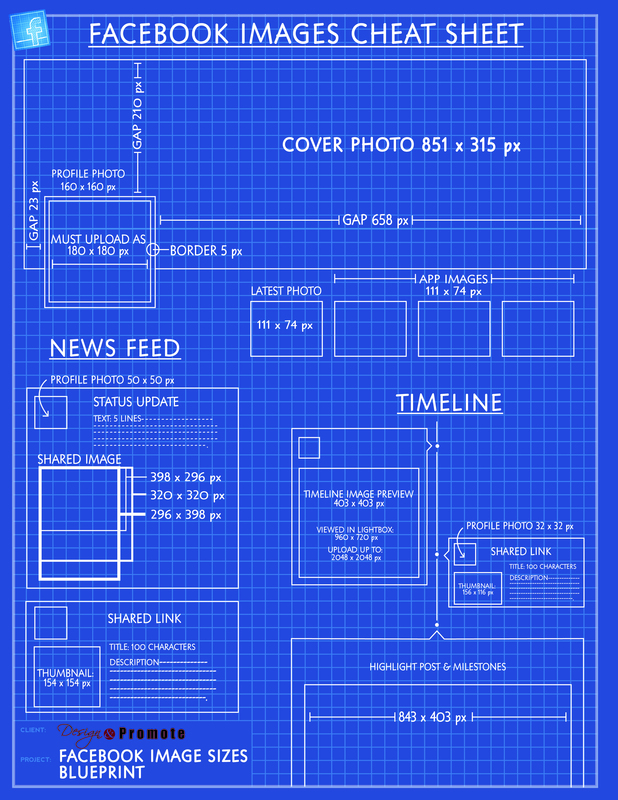 Per Facebook rules, make sure your cover photo is no more than 20% text and use a .png file for highest quality. Also, the proper format for naming an image is with dashes as word separators (i.e. Chicago-cupcake-baker). Using underscores will interfere with Google’s ability to index the keyword, and if blank spaces are used as separators, Google will insert two percentage signs between the spaces. “Since using images is such a big part of social media these days, it’s important to know how to do it right. Have fun with it but also keep the main objective of brand communication in mind,” said Danielle. If you missed the seminar, view the PowerPoint presentation here. From social media to website development, the graphic design staff at Design & Promote has helped hundreds of businesses revitalize their internet marketing with picture perfect images. If you need help with your social media or your internet images, contact us today.